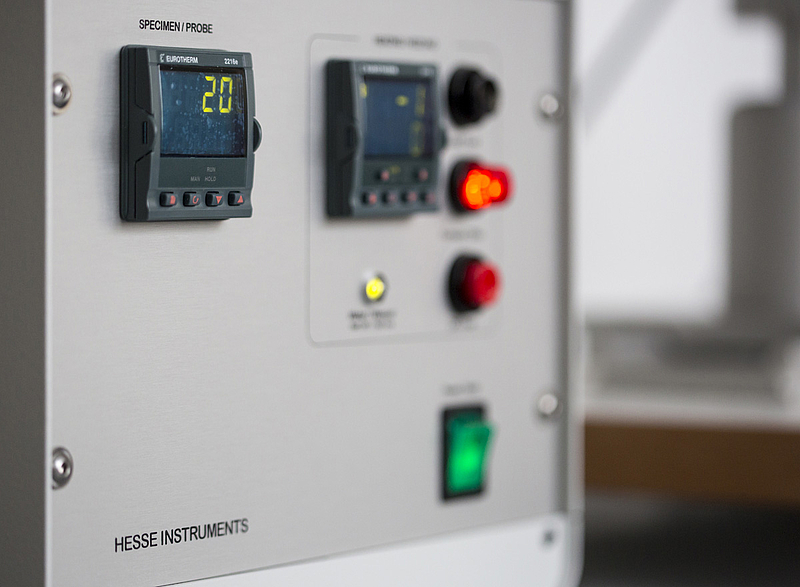 The furnace system acts as the control, heating and monitoring unit of the Hesse Instruments heating microscope. It incorporates the EPA furnace control unit and a tube furnace with the corresponding furnace transformer. The furnace system forms an integral part of the EM301 heating microscope and can be used in modernisations of existing heating microscopes from Leitz/Leica. Controlling the furnace: The installed furnace controller requires no manual operation and operates independently based on the heating programme that the user entered in the heating microscope software prior to measurement. The design of our tube furnaces, combined with the positioning of the furnace thermocouple close to the heating element, allows accurate regulation and boosts operating reliability. Monitoring and safety: An over-temperature protection system monitors compliance with the maximum permissible furnace temperature based on data from an additional, separate furnace thermocouple. In addition, a water detector checks the operational status of the heating microscope’s cooling system. This increases the operating safety of the heating microscope and prevents destruction of the furnace by automatically switching off the furnace load in the event of a fault. Central display: In addition to the EMI III software, the user can obtain all relevant data regarding the furnace and cooling system via the built-in displays and LEDs. These simplify individual operations and allow action to be taken quickly in the event of errors or breakdowns. The furnace transformer converts the supplied mains voltage for use in the furnace. To prevent the influence of vibrations, and therefore to improve the quality of the measurement results, it is mounted in a robust housing and can be positioned anywhere in the vicinity of the heating microscope. The tube furnaces from Hesse Instruments have been designed specially for use in the heating microscope. Their design and advanced materials allow high heating rates, constant measuring conditions and easy operation. 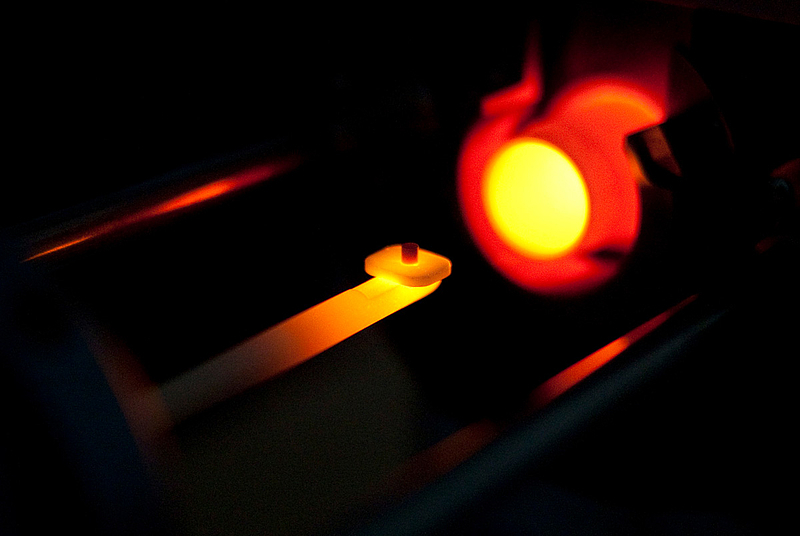 All tube furnaces exhibit a constant temperature profile in the area of the specimen within the measuring cell. In combination with precise specimen positioning, the repeatability of measurements is better than that of larger furnaces and than that stipulated in the corresponding standards. The heating elements of our furnaces are made of molybdenum disilicide (MoSi2), which is resistant to thermal shocks and corrosion. 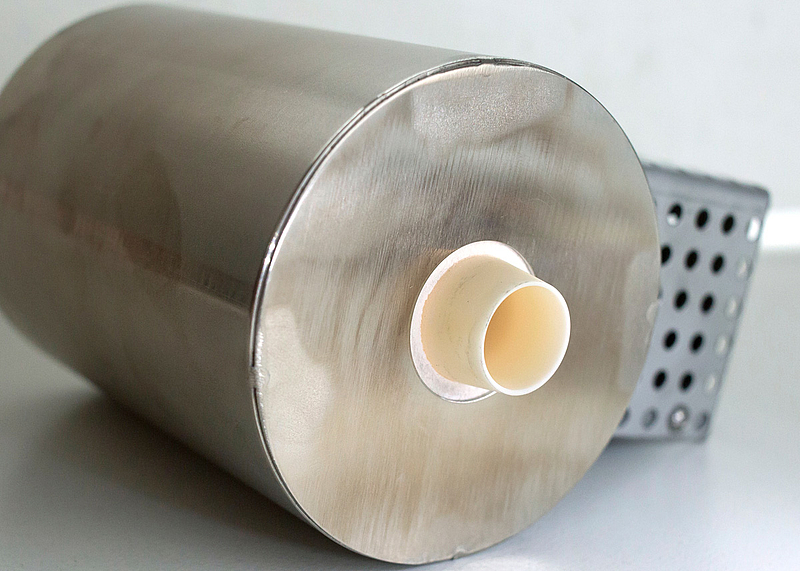 During operation, a protective layer of SiO2 forms on the surface, protecting against corrosion and thereby extending the service life of the heating element considerably. This allows very high heating rates of up to 80 K/min at maximum furnace temperatures of up to 1700°C. The working tube of the tube furnaces is replaceable and can be changed easily without the need for tools when the measuring cell becomes contaminated.